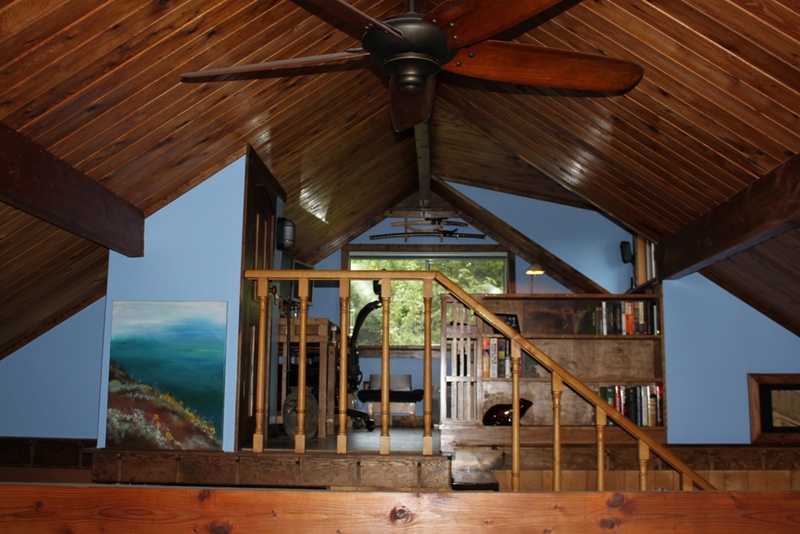 Please ignore that ridiculous handrail and those spindled balusters. They’re going soon. They’re going next. In fact, as soon as I hit ‘publish’ on this blog post I may start tearing them out. In their background is the finished loft, all done now. 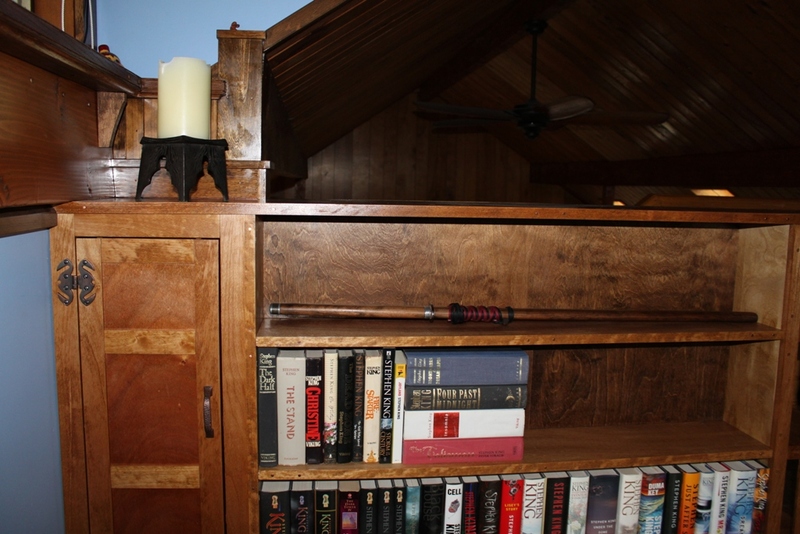 I just completed the built in bookshelf and all the finish trim that goes around it. 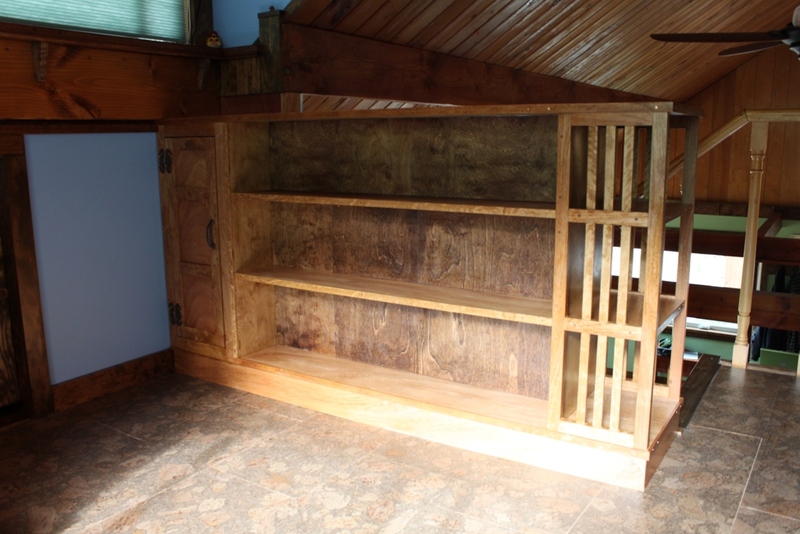 I made the bookshelf out of the leftovers from the kitchen cabinet project. I literally had just enough to do all this. My pile of leftover scrap could fit in a lunch bag. That didn’t leave a lot of room for error, if I screwed something up (which never ever happens) I couldn’t re-make any piece. The bookshelf it replaces was half its size, and not only that, this built-in is double sided! It can store about four times as many books as the last one. 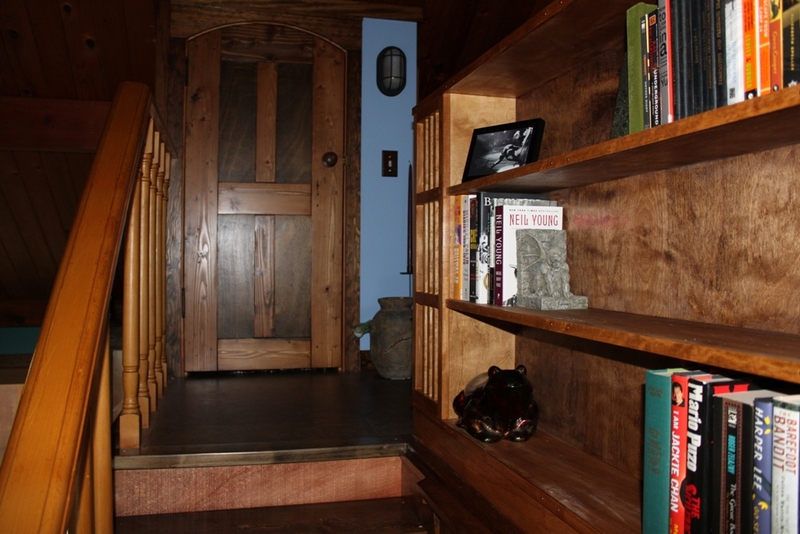 Maybe after this house is all done, I’ll have time to read books. For now, I’ll just have to collect them. This isn’t really fine woodworking, though I used traditional joinery for the cabinet door and frame, and for the little end cap. One of these days I’ll make a nice piece of furniture, but right now I’m in a hurry to get this stupid house done. Check out those crazy hinges on the cabinet! They’re pretty solid too, I’m quite happy with them. The shelves look a little bare now, but trust me, this house abhors a vacuum. They’ll get filled up soon. 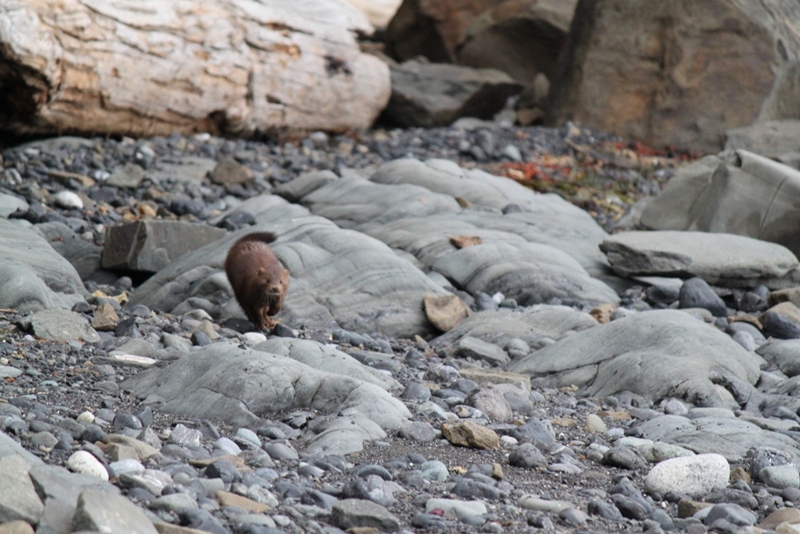 Haven’t posted a critter pic in a while, so here’s a mink at the beach.